With glorious views of the riverside promenade and across to the city skyline, it’s no wonder Oberkassel is one of Düsseldorf’s most desirable areas. 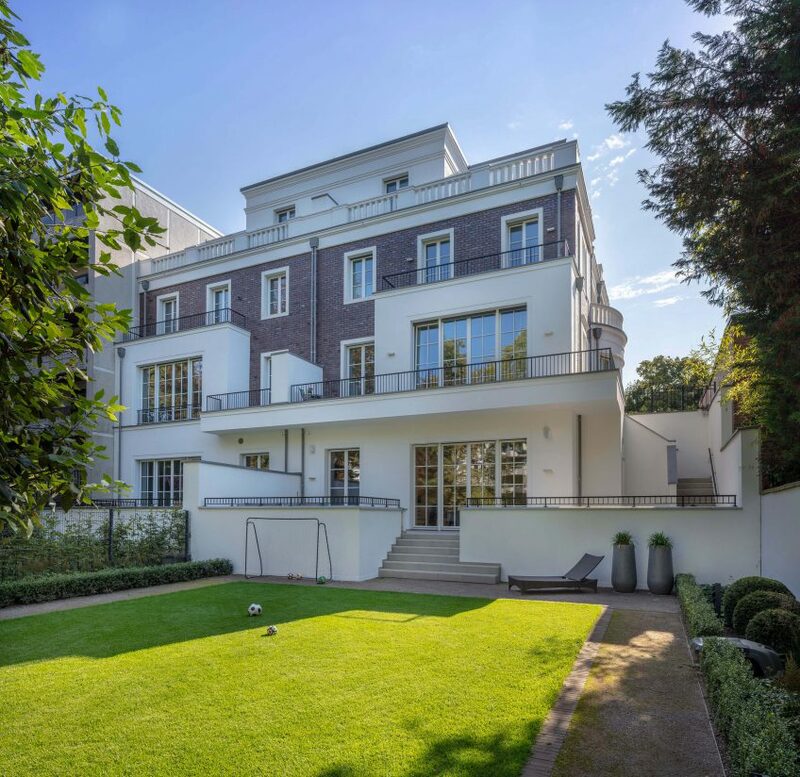 Here, in a superb location right by the Rhine, we have created a pair of prestigious villas set in private gardens, villas that take their cue from the architecture of classically styled mansions and offer a timeless look of unsurpassed elegance. Inside, the living spaces continue the blend of modern classicism and contemporary design, with clean-lined layouts and high-quality materials such as herringbone parquet flooring and fine Pietra Grigia marble. On the ground floor, deep windows, high ceilings and double doors plus fireplaces of pale limestone underline the exclusive impression, while the upper floors offers ample space for family bedrooms and boast generous terraces and balconies with unimpeded views of the treetops. Thanks to their refined yet understated architecture, the living spaces can be tailored to residents’ tastes and needs – making these charming townhouses ideal for individualists wanting to live in luxury in the heart of the city. One of the finest locations in all of Düsseldorf, Oberkassel’s Rheinallee is only built up on one side and benefits from its immediate proximity to the riverbank’s open green spaces as well as from direct connections to the city centre and the old town.